Here are our 20 bestselling DVDs from the past year. Crime and historical stories dominate our list of bestselling DVDs of last year – including all five volumes currently available of Un Village Francais. Set in a fictional village of German-occupied France during the Second World War, this popular French drama series comes from writer Frédéric Krivine and principal director Philippe Triboit, with the assistance of historical consultant Jean-Pierre Azéma. Six of the DVDs listed here are adapted from literary works: Anton Chekhov’s The Duel, Wolf Hall, The Dressmaker, The Durrells, War And Peace: Season 1 and The Night Manager. And we’re so happy to see one of our staff favourite films of last year proving popular – Hunt For The Wilderpeople. And, our top selling DVD for 2016 is…. The Night Manager is a contemporary interpretation of John le Carré’s bestselling spy novel. 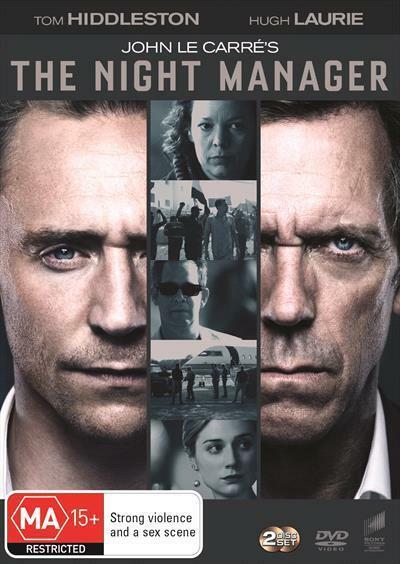 Hotel manager Jonathan Pine (Tom Hiddleston) is thrust into a world of international intrigue when he is recruited by a British intelligence officer (Olivia Colman) to infiltrate the inner circle of international arms dealer Richard Roper (Hugh Laurie). And in his quest to do the right thing, Pine must first become a criminal himself.